Partnered with Broadway Video’s Mas Mejor web channel and lived my dream to work as a writer/director/animator/editor to make 11 videos. A pilot is out there in the universe and I got my fingers crossed. Also, I got to visit Europe – finally! – and got to see Madrid, Toledo, Barcelona, Rome, Florence, and Tuscany. Saw enough art that I got eye-nauseous. Participated in a few art shows. Took trips to Oaxaca, Mexico City, and Guanajuato. And I got to learn After Effects and Character Animator. I’ve also been working on a new project that I’m really excited about. I think this could be the best stuff yet. This is an update of some of my video work for the past three years. I had such a great time participating in the City of San Antonio’s Neighborhood Film Project in 2012, that I entered in 2013 and 2014. 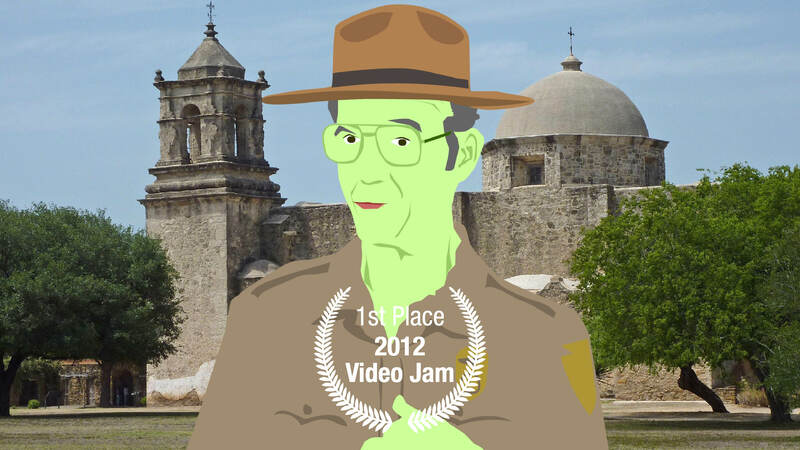 In 2013 BrandSpanglish’s animated short West of Downtown won best in category and best in show. Every component of this animation was made from photos taken on the west side, which was the neighborhood I was assigned. I wound up having some sort of appreciation for the mural of that part of town when I began to see them within its tradition of large scale hand-painted signage. I hoped to place them within that context in this piece. In 2014 BrandSpanglish won for Easter in the Park with Ernie. In San Antonio, there is the tradition of camping out for a spot in the park for an Easter barbeque. In late 2014 I submitted a video for a show of Spurs fans doing work about the Spurs. 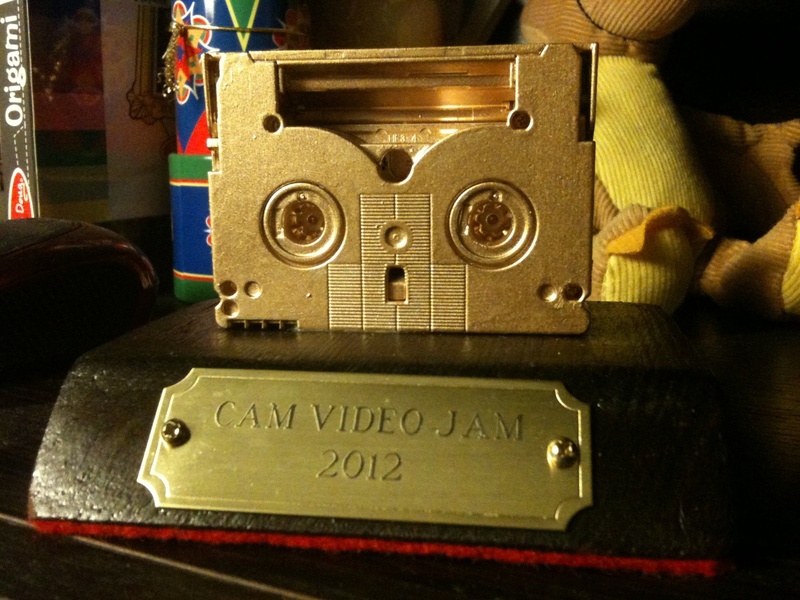 Thanks to the great folks at SA’s Video Jam. Great write up in San Antonio’s local newspaper. Robert B. Gonzales doesn’t think of himself as a filmmaker. As a self-taught graphic designer living on the South Side, he’s used to creating inventive logos and marketing materials for organizations such as the Museo Alameda and the San Antonio Hispanic Chamber of Commerce. Currently, he is a graphic designer at the Witte Museum. 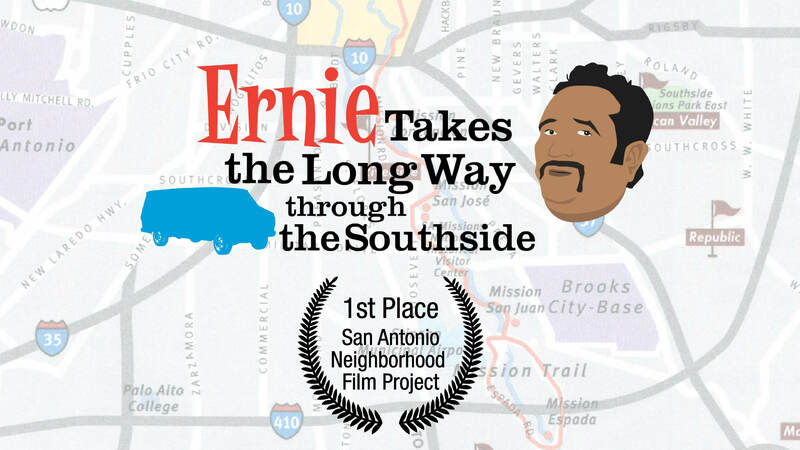 Gonzales’ film, “Ernie Takes the Long Way Through the South Side,” was recently awarded first place in the Southside category. The animated short follows Ernie, his wife Patsy, and their twin granddaughters as they drive to Ernie’s cranky mother’s house in their Astro van. They pass the time by embracing the rich history of the Mission San José, King William District and Blue Star Art Gallery. Gonzales graduated from Alamo Height High School in 1990 and earned two bachelor’s degrees (in philosophy and art history) from the University of Texas-Austin. BRANDspanglish’s Ernie Takes the Long Way Through the Southside wins the The Neighborhood Film Project 3.0. This film competition initiated by the Office of Cultural Affairs (OCA) is devoted to telling the story of the people, places, and shared experiences that make San Antonio a vibrant and celebrated city for residents and visitors. Thanks to all that helped make this film. Sarah Fisch for the feedback and gags, Mike Pena, who provided the voice and soul of Ernie and improved some of the funniest lines in the film and to my wife Erica. And to the San Antonio Office of Cultural Affairs. THANK YOU ALL!